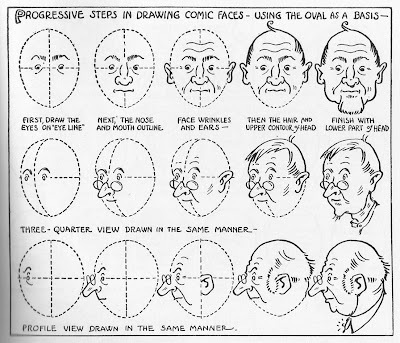 George Leonard Carlson wrote a very concise book now available as Learn to draw comics , decades ago on how to draw cartoons. It is so concise and easy to read and follow. In today's context someone who doesnt want to go through the tedium of traditional art course, but want to hone up the drawing skills, maybe say for use in animation or graphics, this book would help you get there with ease. 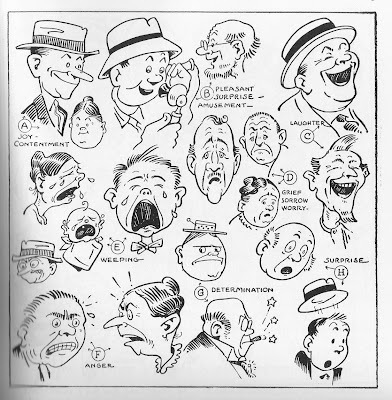 Here are some samples from this wonderful book. Its hard to imagine how certain things would be possible without the instantaneous source of information that the internet offers. As time progresses we experience so many various things, some deeply embedded in mind, and always afresh, several others hidden a bit too deep. 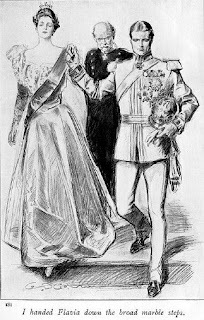 One such piece of information is about an illustrator who drew some fantastic pictures for the famous story The Prisoner of Zenda. While at high school I always used to look at awe the beautiful illustrations accompanying the stories, and wondered who drew all these magical pictures. some had their names, some not. There are plenty of his art work available for the pleasure of study on the Net. 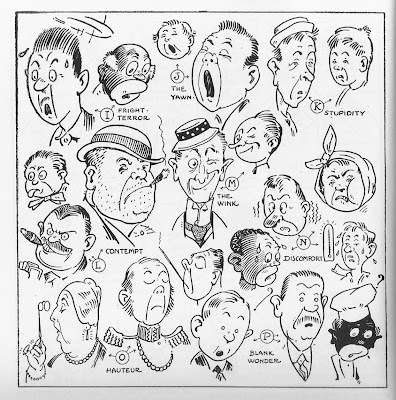 Looking at which one can be certain Gibson was a huge influence on the Golden Age Illustrators. It is no doubt that we learn to draw by drawing. more often we hit a plateau and find it hard to jump up to the next level. Over the years I have been reading, and tyring to learn from various texts and references on how to draw. while there is always something to learn from every book, there are certain books from great teachers, which will always take one to the next level. I list three such authors here, who I guarantee will make an impact. This book would create an impact, no matter at what level one is in their drawing ability. After a long period of lull this created a storm in my artistic endeavor. It is a great place to begin, since it teaches the foundation of art, how one should approach drawing, what is it you draw, what is it that you strive to capture, what is it that you create. Using the simplest of the tools - a scribble, one begins to draw. everybody can scribble. and that's all you need to begin learning how to draw. Gesture, weight and modelling are three fundamental aspects that can be captured by deep observation, and just scribbling. 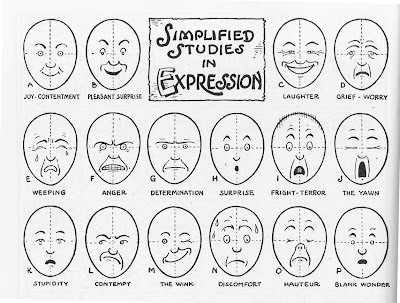 and by practicing this, you can draw anything and everything that you see and over a period of time just from your mind! In a series of chapters , one building on top of the other, Vilppu teaches every aspect of drawing, and introduces the basic tools needed to draw. Vilppu says, drawing is all about capturing gesture and form. Representing 3 dimensional form in two dimensional paper. drawing is all about capturing and creating form, the relations between other forms. How you go about doing this, is all that Vilppu talks about with countless illustrations. Gesture, Form, Light and shade,Atmosphere and so on are different aspects that make the picture more and more convincing. Vilppu introduces simple tools such as Sphere, Box, Cylinder and combine them to create complex forms. these are techniques that come down from the great masters of the renaissance. At this stage we understand how to go about drawing. mostly we become good at drawing from observation. and possibly retain some knowledge and recreate from the mind. But if one were to understand the details of the complex human figure, one need to study the wonderful books from Hogarth. Nowhere else one can find such clear renderings of the human form, so easy to understand and hence so easy to add to our mental library of reference. Hogarth analysis the human form in such detail and clarity, all it takes is one look. By studying the numerous drawings and constantly practicing them, and creating our own actions and figures, one can produce stunningly realistic human figures. And then of course we need to draw, all the time, from life and from imagination to hone our skills. There are so many subjects, animals, nature, numerous man made stuff and so on for which we seek other teachers, books and references. But these three authors will create a definite impact on the way we go about drawing and will set us on a strong foundation. Tarzan ! What an epic in the world of sequential art. Taking us all into the deep jungles, full of danger and adventure, the rich visualization was possible thanks to the genius and draughtsmanship of Burne Hogarth. Never before was such vivid details of the jungle, the animals, the daring Tarzan, ever captured so realiztically in this medium. Burne stretches his imagination while wielding his pencil and takes us on a magical journey. Hogarth gave the secrets of his great talent to those he aspired, by establishing and teaching at the Cartoonists and Illustrators School in New York, later renamed as the School of Visual Arts. His series of books that are perhaps derived from his teaching,are landmarks in art instruction books. Dynamic Anatomy, Drawing the Human Head, Dynamic Figure Drawing, Drawing Dynamic Hands,Dynamic Light and Shade, and Dynamic Wrinkles and Drapery. Perhans the most effective anatomy lessons can be found in these books. 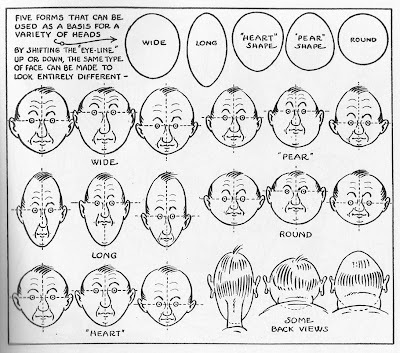 Dynamic Anatomy, Drawing the Human head, and Dynamic figure drawing are outstanding and essential for any stundent of art.So much of information is condensed between the covers of these books. One quick look at any picture can be worth hours of reading a text. Truely the adage 'a picture is worth a thousand words' is never more adept than for his illustrations found here. There are numerous attempts at producing illustrated versions of the classic tales from around the world. 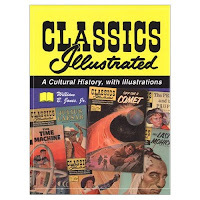 The series called "Classics Illustrated" is the definitive attempt at bringing all the great classics to the easy reach of us with beautiful illustrations, in the grand form of sequential art also known as Comics. It invovled some of the finest artists, and produced a huge collection of stories. These were the results of the dream of Albert Kanter, materialising during the 40s,50s and the 60s, thrilling and educating and entertaining a generation with vivid, simple and beautiful versions of the well known classical tales such as the Three Musketeers, Ivanhoe, The Count of Monte Cristo, Arabian Nights, Robinson Crusoe to name a few. I remember as a kid, I got hold of a used copy of 'The Salt Mountain' this was part of the Classics Illustrated Junior series, there was something absolutely stunning about it, the story, the pictures, the adventure. it captured the imagination.There was something special about it, which I could not find in any other story book, or series. I wasn't aware what series this was part of, who the publisher was, who the artist was. I was a kid, I simply enjoyed it. not a collector or a history buff. But several years later, when I tried to figure out more about that book, I simply couldn't, until recently the omnipotent WWW helped me learn about this amazing series. I was hooked. I am sure many of us can relate to this, and have a similar tale. This is a fantastic chronicle, of the happenings of the Classics Illustrated series, beginning with the beginning, Alber Kanter's dream, it takes us through the publications history of the various stories, and the involvment and influences of the numerous artists invovled in the effort. The evolution of the style and presentation of the books, such as the evolution from comics style to the painted covers etc. are all full of interesting information. There were several editions, and series... Classics Illustrated, Classics Illustrated Junior, Classics Illustrated Specials, etc and several republishing attemts up until the turn of the century. All of this is detailed in the book with interesting facts. This book lists all the stories that were published with details about the author, illustrator etc. as much as is available, also the listings from several publishers, and variations. The book also contains pages and covers from several Classics Illustrated, mostly in black and white. There is a section of about 8 pages in color in special paper. For the Classics Illustrated collector this sure will be a delight, as it would be to anyone interested in the grandeur of sequential art. Tintin , the evergreen young globtrotting reporter, has captivated generations of readers, and continues to do so. 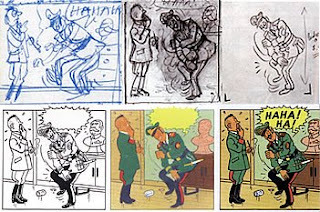 The great success has been attributed to Herge, the creator's genius in bringing together some fabulous ingredients such as a clear story, a free and smooth flow, attention to reality, be it the script or the art, pleasing soft colors, and above all to the style of art he invented, later to be called, the Clear Line. Clear Line, uses lines of uniform thickness(rather thinness) to show the outlines, the contours, the change of planes of the form, leaving out tones and other such details. 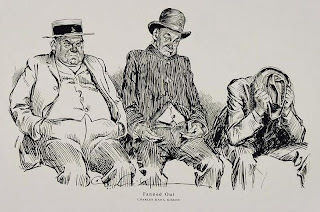 The technique of 'feathering' used extensively by the great Alex Raymond is totally missing(no comparisons here.. Alex was a giant, his realistic rendering took comics art to grander levels). This produces in itself a certain clarity and hence simplifies the whole thing amazingly. Herge followed this clarity into the story line as well. 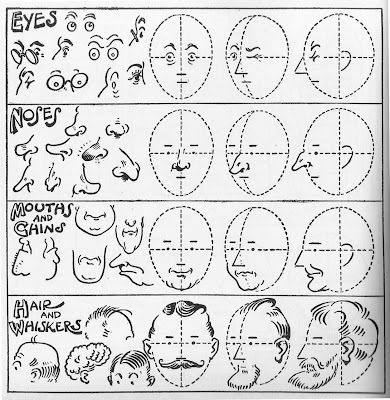 Herge used this style in all of his art, and went on to create a following in the comics creating world, spawing the use of Clear Line. 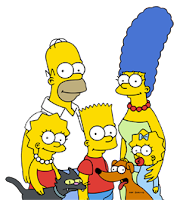 Perhaps the most famous being The Simpsons..
Paul Gravett, has a couple of captivating articles on this interesting topic at his wonderful site, read more here. This is sort of a classical text, focused on covering the various aspects of drawing comics. 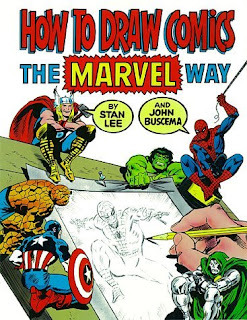 Though drawing comics involves a lot about learning to draw, I would think that an ability to draw whether inherent or acquired would be a necessary starting point to effectively use this book. On the contrary one might as well get started here and then hone the necessary drawing skills. As in any specific form of art, such as Illustration, Fine art, Animation art, Commercial art etc, Comics art has its own set of skills that need to be honed. This is a book written by Stan lee and John Buscema, one a great story teller and the other a fine artist. It does cover several aspects of the trade. As the title suggests the genre is more towards the 'Action' side, as opposed to a style such as Disney, Asterix or that of Herge's Tintin. A significant amount of the book focuses on the figure and its action, which is so vital to this type of comics, and these are real gems. The quick setup of a pose, the dynamism needed for convincing action, the looseness of the approach, and then the focus on the form, the details of the figure the head and so on are very effectively presented. The other important ingredients of composition, perspective, foreshortening are covered in detail. There are of course couple chapters that deal with comic book covers, and the all important comics inking. Though obviously this was written in a pre-digital period, all the information can be readily applied to today's all-digital comics creation. Coming from successful practicing veterans, the entire book is packed with practical information.
" For those who don't know, a water brush or waterbrush (some makers use two words while others combine them into one) has a soft plastic barrel which contains water. When you squeeze the barrel, water enters the bristles, thus eliminating the need for a separate water container. It also makes cleaning the brush between colors a breeze. These are great for watercolor sketching on location. All you need is a waterbrush, a small set of half pan watercolors and a sketchbook, plus some tissue paper or a rag. No more water bottle and cup. If you use a small sketchbook, your entire set up will fit in a pocket. " writes Russel Stutler. Read on about this great utility here. The Ballpoint pen is almost always with you. It can serve as a sketching tool, without additional equipment. We all doodle with the ballpoint pen. If not for those endles meetings and the ballpoint pen, a large number of doodles would never have made their way out of their creators. Here is a great website by Jerry Stith, dedicated to this fascinating art, to show what's possible with this medium. Works by various artists can be found here. This book takes a distinctly different approach to the study of art. there is no talk of copying a model or picture, or even talk of 'construction' or things such as perspective, and so on. But it takes a truely traditional approach in which the student is given the tools to study the subject in a perfectly natural and intiutive manner. makes you wonder why even have other ways of study. The focus is on gesture, contour, mass, modeling. It is preferable to have a live model, or the figure as the subject, though it can be anything. This book (or manual, or workbook, or textbook or Bible) really works. Its like taking a regular intensive training program in drawing. First, let me tell about 'Other' books:Lots (Tons & Tons) of books are there in this subject. Problem is, they all have lots of drawings made by the author. Sometimes it is intimidating to take the first(important) steps because these drawings are so carefully made you just want to do the same. At the best, you learn to *Copy* an artist's art! :(Result ... you learn NOTHING. In this book, you hardly see a 'perfect' drawing. All(almost) are scribblings..Natural scribblings. they are the work in progress of a learner. There are no drawings in this book to copy or reproduce !! Only methods and techniques & more importantly EXCERCISES !! This book does not give you Fish, instead it teaches you how to Fish! You will be able to draw anything & everything...Confidently ! If you are going to buy only one book in your life time, let this be the book. You probably don't need another! Note: I got hold of the book a long time back. Been practicing the lessons in the book on and off, as I find time. One thing that amazed me was when I look at the drawings that I drew before this book and my recent drawings. I cannot believe it. There was never in all my years did I have such a sharp improvement and *confidence* in drawing. Though there is still a long way to go, it is now very fulfilling to know I am on the right track . 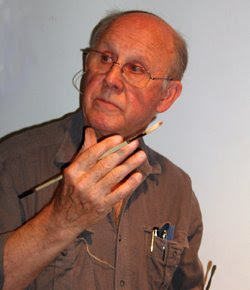 To visiualize action, the animator uses the pencil. Here is a nice set of lessons, simple and to the point. Continue and enjoy this nice set of lessons at Karmatoons. The Famous Artists School was an awsome school that was started in the late 40's by noted illustrators of the time such as Norman Rockwell. The school offered the courses by correspondence, and covered three areas. Painting, Commercial Art and Illustration, Cartooning. I scouted for a copy for the Illustration course on eBay and elsewhere and lucky was I to hit the nice Antiquarian store in beautiful Monterey Bay. They are Capre Diem Fine books, I found them online, enquired about the books, the books were supposedly in excellent condition. 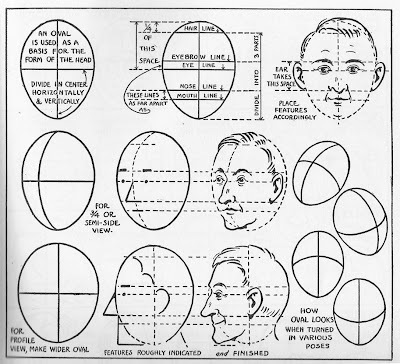 This is the 1964 edition of the Illustration course. after a wait for a period of three weeks, they arrived by mail, and was that a large package !, since the binders containing the course material are oversized and overweight. Its a shame that I had to pay more for shipping it to India, than the price of the books themselves. However when it arrived and I started to browse through them I was simply blown away. This is one course that we need. nothing more. So detailed, so comprehensive, with lucid explanations, and ofcourse several drawings by these great set of illustrator-teachers. The wondeful folks at ASIFA have a few lessons scanned and have them online. Check out the lessons on Compositon and Wash drawing, I'm sure you will be blown away. There are tons of information. I am delighted to have known that such a course exisits. For that matter the school, Famous Artists School, is still up and running, albeit with different instructors.